While I’m still on the topic of sewing checks or plaids, let me show you this little trick for sewing seams together so that they match perfectly! 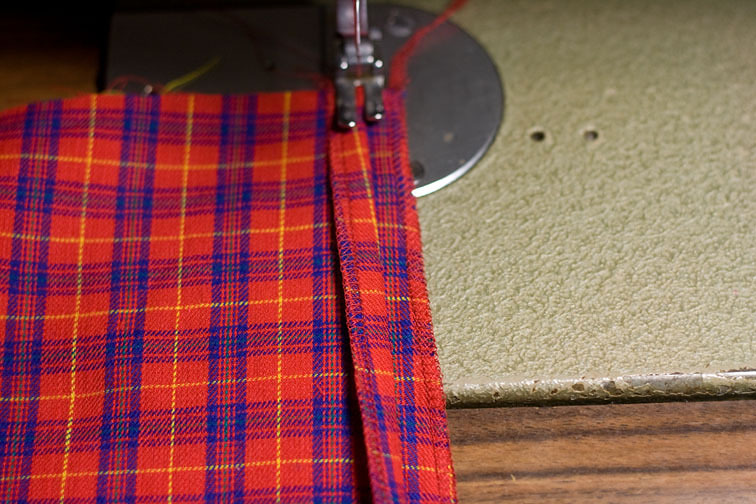 Start sewing at 1cm, just inside the fold line – you will be sewing through three layers. 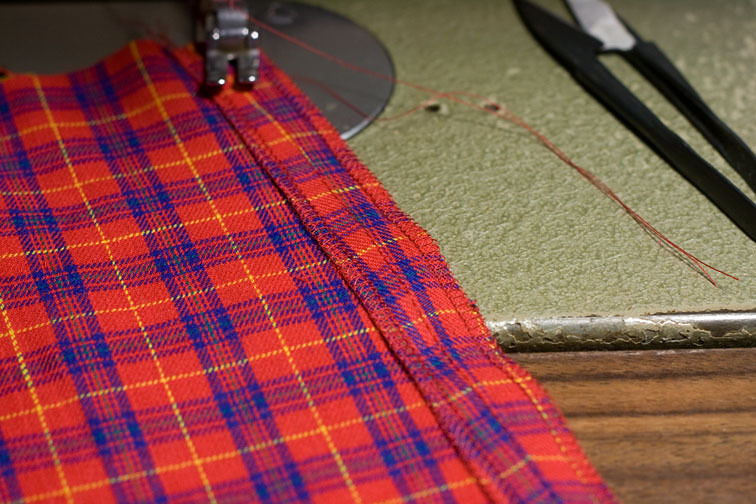 By sewing the seam this way you can manipulate the fabric to match the stripes or checks as you sew, and easily see and adjust for any difference in feed between the layers along the way. I hope you can make the stitching out – this was late-night-photography….. But look at how those blue stripes line up! It’s so easy – sort of like the old technique of slip-basting, but permanent – and by machine! It only works if you have cut your checks out accurately of course…. And there is the disadvantage that it isn’t suitable for heavy weight fabrics because there is slightly increased bulk, but for me this is far more often outweighed by the advantages of speed, accuracy, the lack of unpicking required, and the happy memories of Pat and our workroom, when using this Magic Pat-Trick. Anyway, I hope you find it handy one day too – happy sewing! wow. this is a great tip. Thank you. I don't work with plaids much but this could be used for any print matching. Clever! Thanks so much for a sharing this little tip! That's a great idea! I've seen a tip to do something similar but with a narrow zig zag, then sew the seam normally. This is so much faster! Thanks for sharing – great idea!! On Saturday I bought some plaid fabric for pants so I'll be using your ideas when I start working on these pants next month. 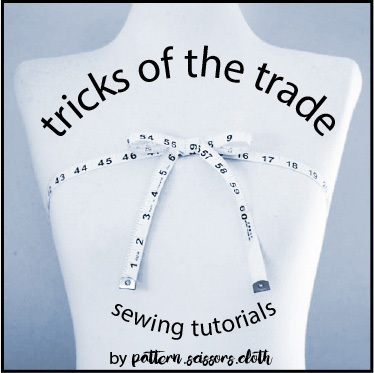 Thank you for your sharing your sewing know-how. For heavy fabrics i.e. curtains or brocades. First press the matching line on what will be the right hand curtain. Lay left curtain down with right side up. Pin matching points about 4 inches apart with pin head to right. When all curtain pinned go back and ease each pin back so upper layer at pin point becomes free and can be opened back exposing pressing line. Stitch on the pressing line.